Keep your cool. 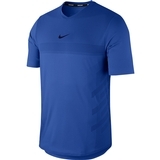 NikeCourt AeroReact Rafa Men's Top features Nike AeroReact technology that uses special fibers that open when you sweat to help keep you cool and comfortable during your match. 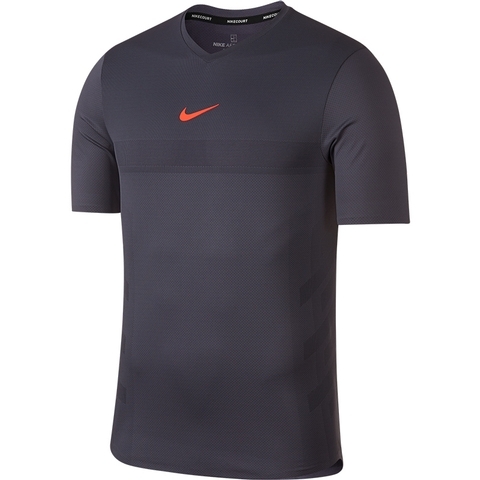 Nike AeroReact technology adapts to help you maintain the ideal temperature. 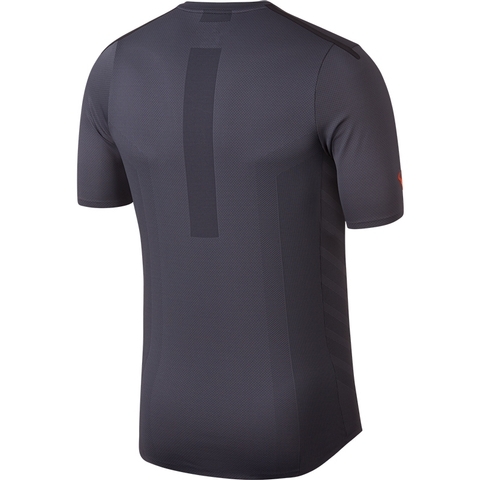 Short-sleeve design allows comfortable range of motion. 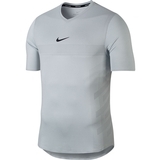 Sallow V-neck offers a nonrestrictive fit. Curved hem extends coverage. Circular-knit jacquard fabric enhances breathability.